Marketing is a complicated, competitive, and constantly evolving industry. It’s becoming increasingly difficult to reach one’s target market among a sea of competing messages. Add in the fact that there are more social channels than ever before to promote your company, and its no wonder that developing a marketing plan can be intimidating, specially in healthcare. This is especially true for those looking to market to doctors and physicians. This is an audience that is both incredibly busy and constantly bombarded with new research, technologies, and medical products. Today, we’re going to share our 3 “W’s” – the who, the where, and the what – for breaking through the clutter and reaching doctors and physicians with your message. WHO: Who do you target? While it may seem obvious that the doctors and physicians are the “who” when it comes to sharing your message, that might be easier said than done. Gaining access to these individuals can be an incredible challenge, so it’s important to consider alternatives if the traditional cold call doesn’t open the door for you. Building a relationship with the practice’s office manager is a great example. The office manager is typically responsible for scheduling and often acts as a gatekeeper for doctors and physicians. By building a strong relationship with the office manager you may gain some invaluable insight into the doctor’s interests and when the best time for a more in-depth discussion may be. If you’re lucky, they might even help you set up a meeting! Another alternative is to focus the “who” on finding someone in the medical field to act as an ambassador for your product/service. 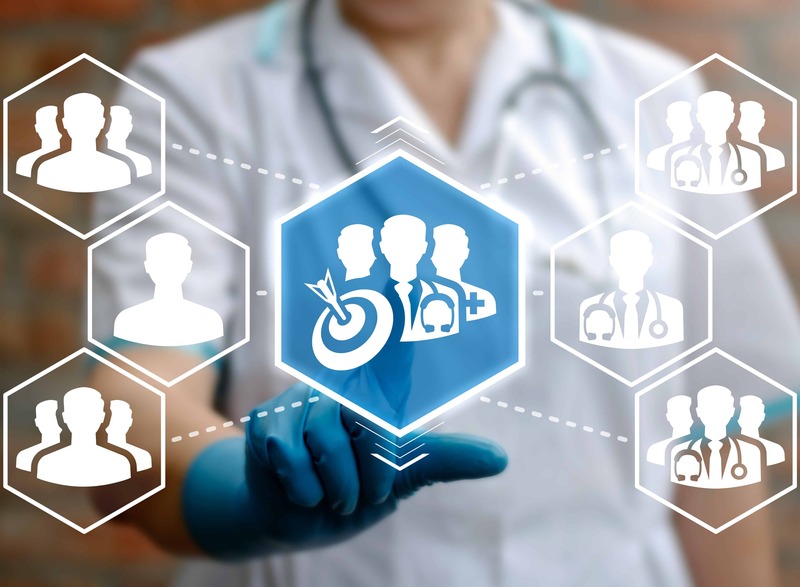 Doctors and physicians will always prefer to open the door for a colleague than to a cold pitch, so finding someone who has a strong network of doctors in your area to align your marketing strategy with is always a great idea. WHERE: Where do you reach doctors and physicians? If you aren’t having luck reaching the doctors at their own offices, consider increasing your opportunities to meet them outside of their typical 9-5 workday. Learning about the doctors you are trying to reach is an important step – what work are they doing, what causes are they involved in, what boards do they serve on? This will inform what community events or gala dinners may make for a great introduction to you and your product or service. If you are fortunate enough to have a medical conference being held in your area, this is another fantastic venue to connect with doctors and physicians outside of their offices. WHAT: What to say when you do connect? If your “who” and “where” have worked and you find yourself in front of a doctor or physician discussing your product/service, fantastic! Now comes the trickiest part: what do you say? Doctors have heard it all a million times – so how do you stress the importance of your particular offering? Will your product save them time or energy? Will it improve outcomes for their patients? Will it add value to their current practice? If you can answer one or more of these questions, then this is exactly what you should be sharing with the doctors you connect with. Keep it brief, keep it simple, but show them exactly how you can improve the way they work every day. By considering the who, where, and what – you can adapt your existing marketing strategy to focus on reaching the right people, in the right places, and delivering the strongest message. With any luck, you will soon be connecting with doctors and physicians in your area about your important product or service!